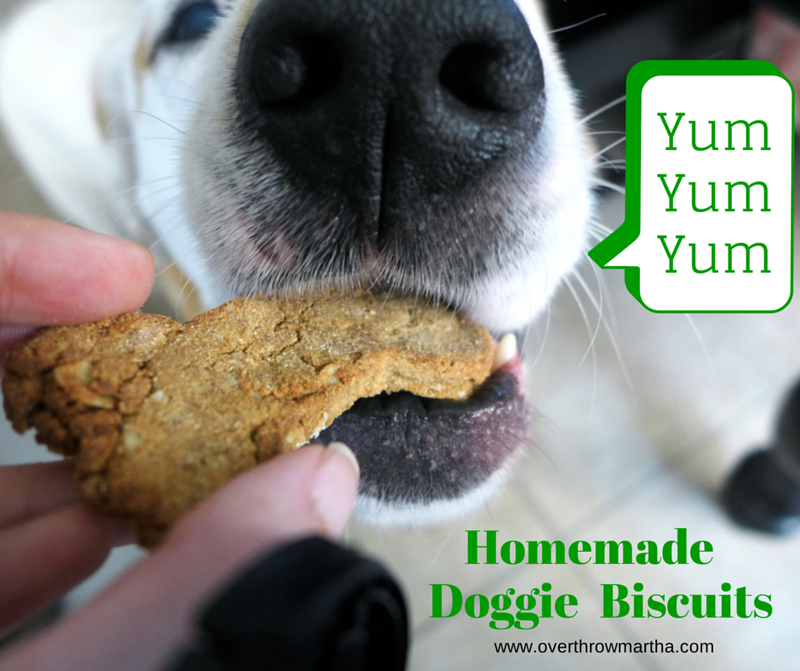 Makes about 1 dozen biscuits for large dogs or 2-3 dozen for small dogs. Mix the dry ingredients (flour, oats and cinnamon spice) in a mixing bowl. Set aside. In another bowl mix the bananas, nut butter, coconut oil and eggs until throughly incorporated. Add the essential oil and stir to combine. Mix the dry ingredients slowly into the wet ingredients until combined. The dough is a bit crumbly-- this is fine and to be expected. You can add a bit more banana if you need to get it to hold together better. 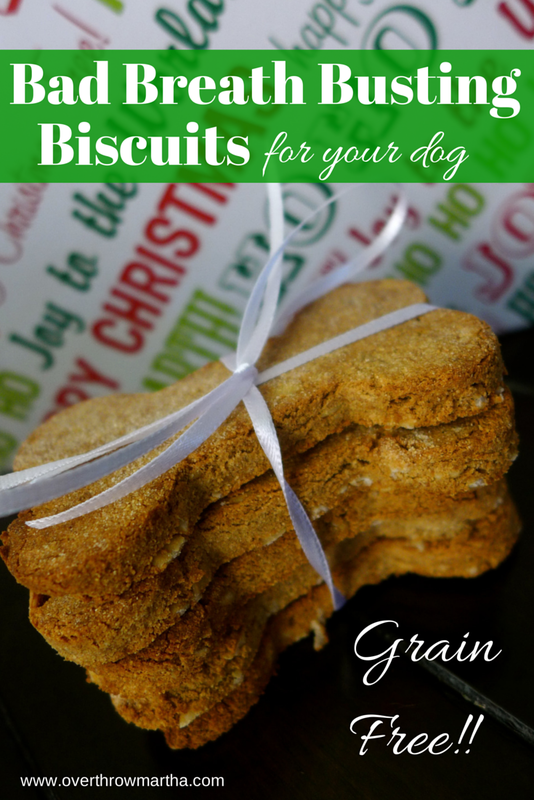 Put the dog biscuits into the oven for 20-30 minutes (depending on the size of the cutouts). Place them on a cookie rack to cool and they will become even crispier. These are GREAT! They smell like oatmeal cookies with a twist. My dog goes nuts over them every time I make them. These biscuits are perishable so they last about 1 week at room temperature and 2-3 weeks in the refrigerator. If you want to change this a little for fall-- you can substitute the 2 bananas for 2/3 cup of pumpkin puree. Yum!! Also, we've also used mini silicon molds and coconut oil with essential oils which we froze for a healthy treat which supports a strong coat. Hercules loves them :) You can find out how to do that by watching this quick video! Curious about what else you can do with essential oils for your dog? 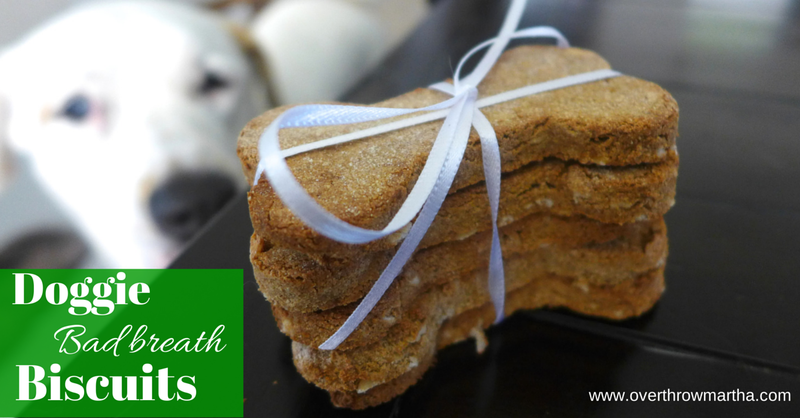 Check out my post about 6 recipes to support your dog's health. How did you dog like them? !